Can lightning strike twice? 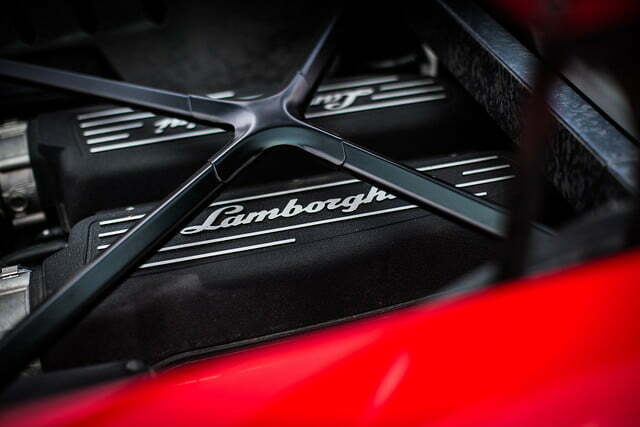 Lamborghini sure thinks it can, and it may be right. 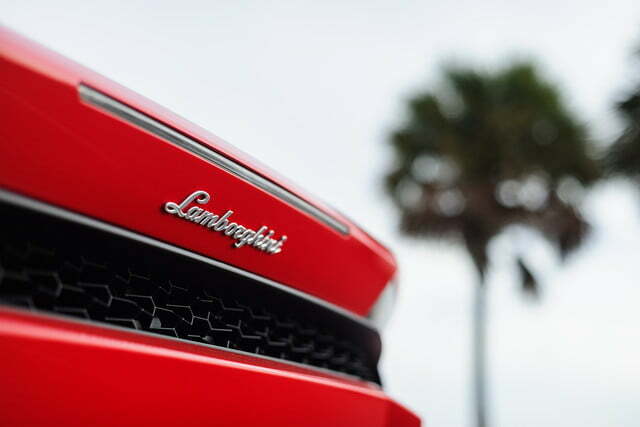 The wild success of the Gallardo, the company’s best-selling car ever, is on track to be surpassed in every way by its successor, the Lamborghini Huracán. 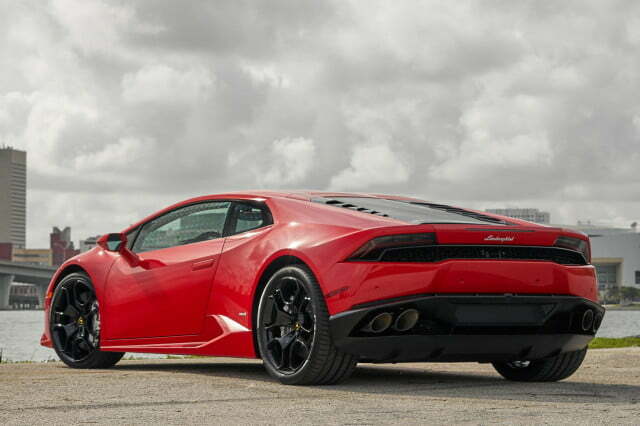 Already breaking sales records, Lambo is just getting started with the Huracán, kicking off variants like the upcoming spider and, most notably, the rear-wheel-drive 580-2. Would throwing all the power to the rear guarantee a sportier experience and make the 610-4 redundant? 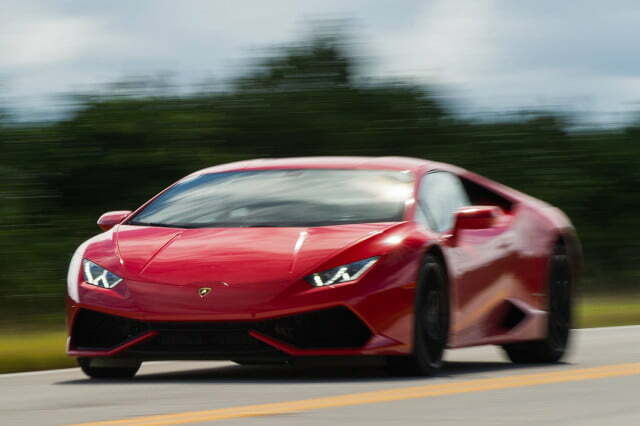 To find out, Digital Trends’ Ronan Glon ventured out to Qatar to try out the new RWD Huracán while I went to the natural habitat for Lamborghinis — Miami, Florida — for some seat time in the all-wheel drive 610-4. The Huracán LP 610-4 is the latest V10 in Lamborghini’s (currently) two-car lineup, playing second fiddle to the V12 Aventador. 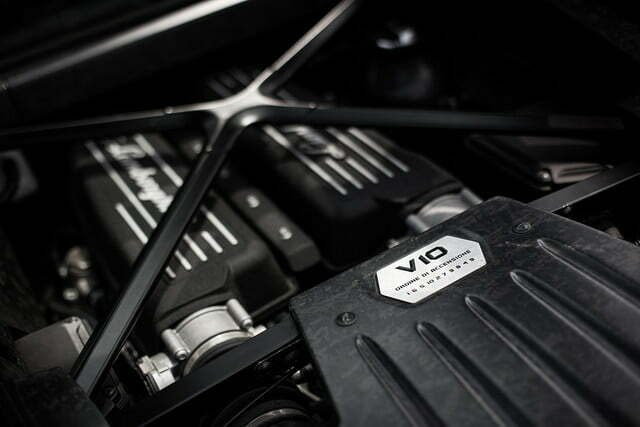 Its 5.2-liter V10 sits longitudinally behind the driver and passenger, churning up 610 horsepower and 413 pound-feet of torque (560 Nm, specifically). 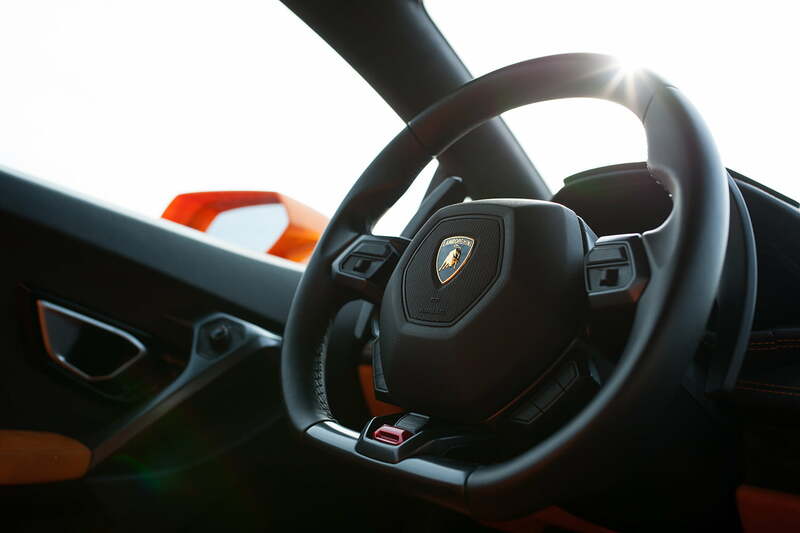 Energy is pushed through a seven-speed dual clutch transmission to all four wheels, propelling the Lamborghini from 0 to 62 mph in 3.2 seconds, and onward to its top speed of 202 mph. One of the first things I noticed about Miami is how colorful and beautifully sculpted everything is, including the people. It’s a fitting place for the Huracán, and its sharp, angular exterior to roam, cutting through the sub-tropical air at a moments notice. The clean look is notably un-Lamborghini, some would say, but this car, like the Lamborghini Gallardo, has a more subtle design, with form following function and remaining less audacious, making the Huracán appropriate for more occasions. 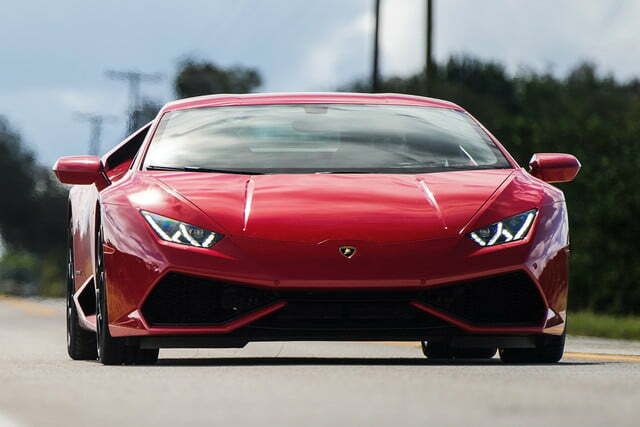 That’s not to say the Huracán won’t attract attention. The slippery shape catches many eyes as it crawls along the art deco of Miami’s famed South Beach. 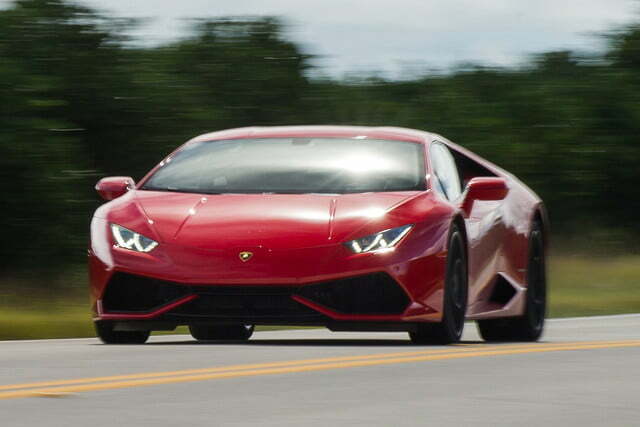 Let’s be honest, this is how most Lamborghinis are driven. It’s parade ready. Here, amongst the stares, I’m able to ascertain how Lamborghini intends for the Huracán to be the more versatile car in its lineup. From the cabin, the only discomfort I feel is from several gawkers that litter the bustling downtown. 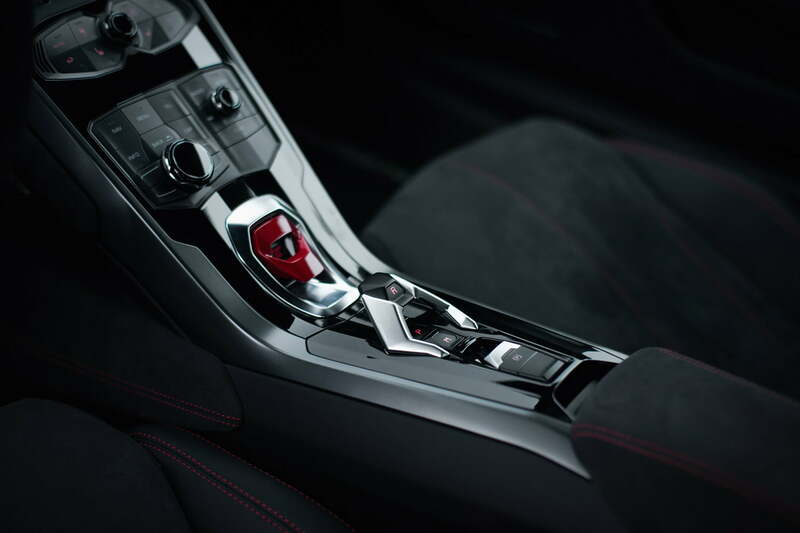 The Huracán’s purposeful design is carried inside, streamlining everything for driver focus. There’s no center console for navigation: everything is communicated through the 12.3-inch LCD screen behind the steering wheel. In place of a gauge cluster, the screen displays the relevant data in real time, and you can cycle through different menu pages for navigation, entertainment, and other functions. 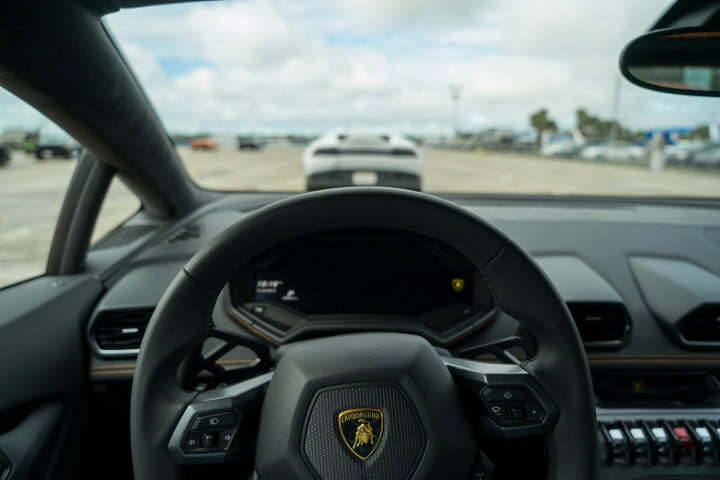 The Huracán makes me a rockstar of the track, carrying me through the turns as I hit them faster with each lap. In front of that is the sport steering wheel that houses the switch for the Huracán’s Adaptive Network Intelligent Management, or ANIMA, which is Italian for “soul.” This toggles the car’s different driving modes. From the docile “strada” setup, we enjoyed a softer suspension setting, a low-key closed-valve exhaust rumble, and smooth acceleration. I also planned my route out of town with the menu controls on the clean center console, and jet-like switches are there if I wanted to lift the nose on low bumps or drop the windows. The centerpiece is the ignition switch tucked under a red safety gate as if to suggest that drivers better be sure they’re ready for the Huracán. Lamborghini’s Super Trofeo finals were being held at Sebring, home to one of motorsport’s most grueling endurance races. This event is a customer series where teams outfitted with 620-horspowered race-ready versions of the Huracán battle for supremacy. 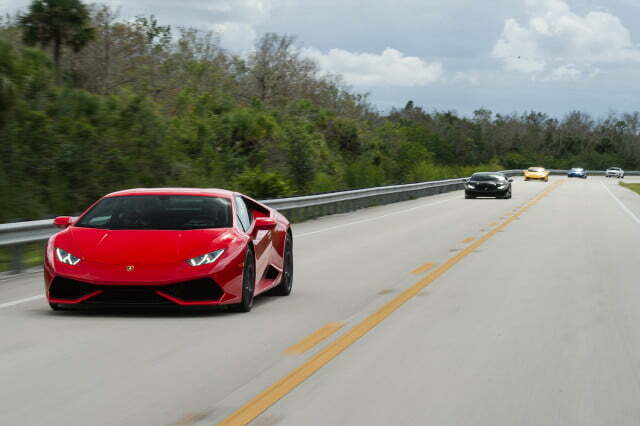 There’s a lot of Florida between there and Miami, so I’m hoping the Huracán can blur most of it. Cutting through alligator-flanked sawgrass byways, a simple flutter of the gas pedal commands the 5.2-liter behind my ear to life. Further foot stretching gets the car up to speed. 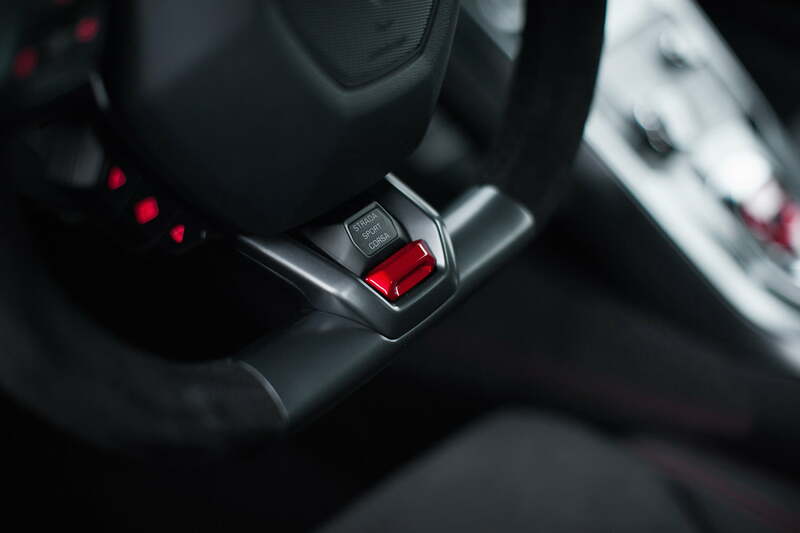 The naturally aspirated engine flips through the revs like a deck of cards and climbs high past 8,000, meaning that you have a lot of range to play with before you have to cycle through the gears. 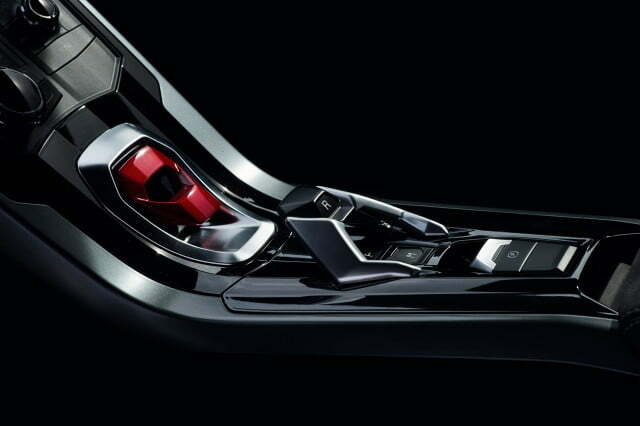 When you do, the 7-speed dual-clutch transmission punches through them with satisfaction. 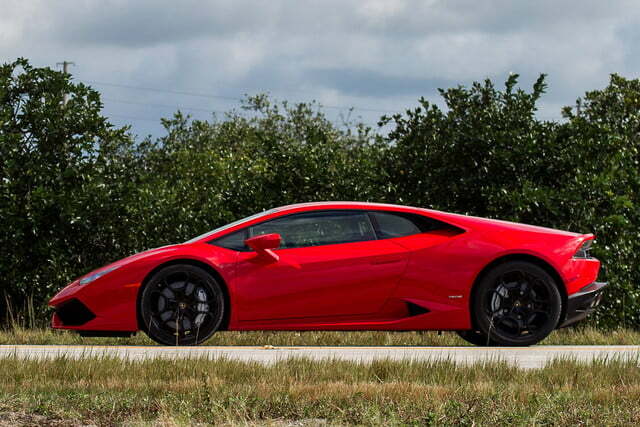 In a straight line — and there are a lot of long stretches in central Florida — the Huracán gallops quickly to its top speed, daring you to push for more. 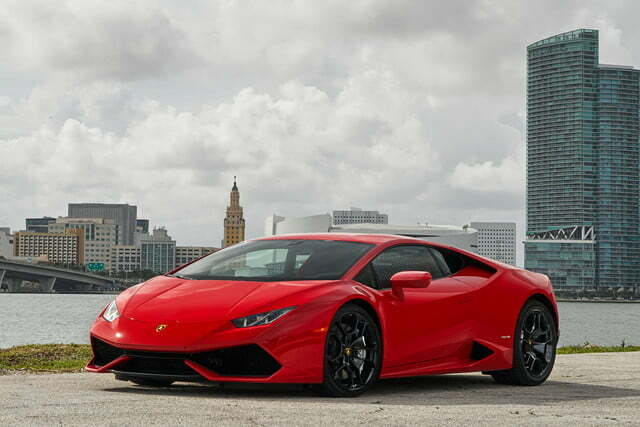 The Huracán is prepared to cut through the sub-tropical air at a moment’s notice. 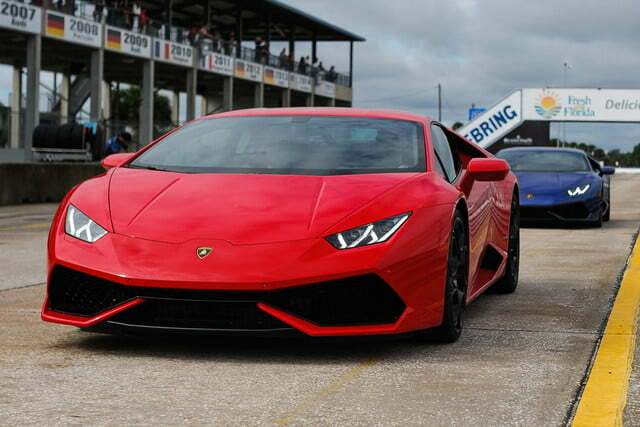 At Sebring, the bulls were staged to hit the track, setting the ANIMA to “Corsa,” which is the Huracán’s most relentless setting. Deep inside the Huracán is a system that uses accelerometers and gyroscopes to measure its roll, pitch, and yaw at all times. Using this info, the car stabilizes itself, which I needed when I pushed it on the track. It can route up to 50 percent of the torque to the front and 100 percent to the rear, helping me rock each curve of the track. Because each gear has so much to give, I was able to focus on maneuvering the sports car through the twists that the Sebring track provides, working the now stiff magneto- rheological dampers and double-wishbone aluminum suspension dampers to their limits. 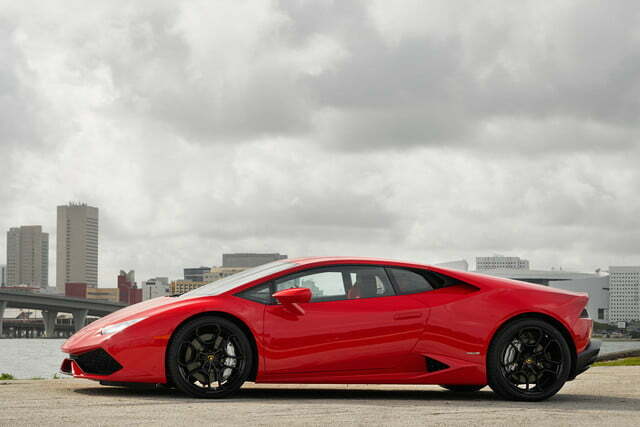 If the Huracán sells like hotcakes just as the Gallardo did, it may become the sports car that’s everywhere. Jaded as it may sound, the Gallardo’s popularity soon made seeing one sort of … boring. Granted, you’re in a millionaire’s town if Lamborghinis are run-of-the-mill, but even the sexiest sports car becomes lost in the wallpaper when there’s over-saturation. Thus is the paradox of supercars: Make a few, and they remain exclusive, but it’s a difficult business model. 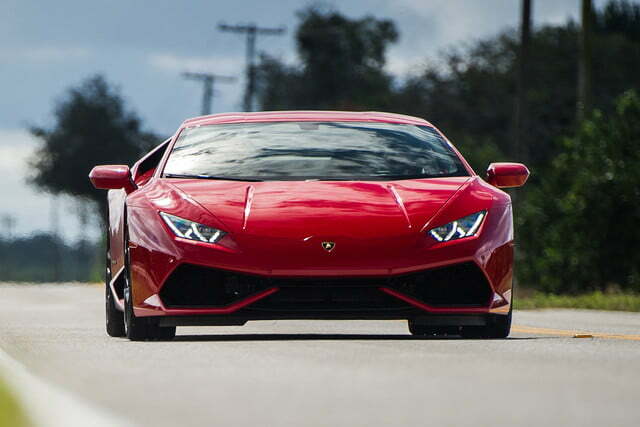 Make loads, like the Huracán, and your company will flourish, but the mystique of the sports car loses its luster. For my part, I wouldn’t mind having a Huracán on hand to make me feel like a rock star on sunny days, but ultimately I wish it was more challenging. 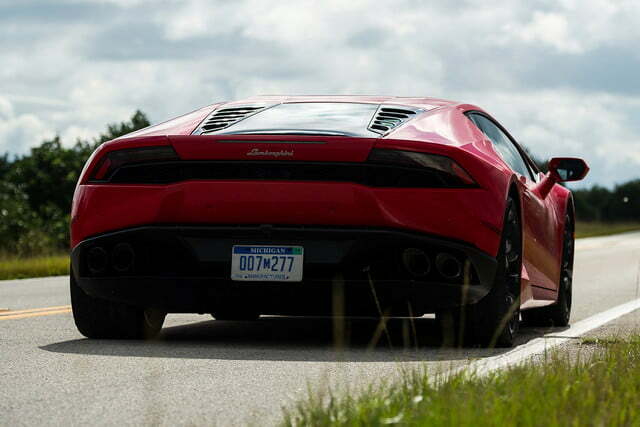 After a grueling session, it was cool down time for the Huracán and me. After reflecting, I can see that the driving experience was one of extreme complement and support. This isn’t a sports car to tame or a track car to dominate. The Huracán is the ultimate hype man, making sure I look and feel good at all times. At a starting price of $237,250, the Lamborghini will duke it out with cars of its segment like the McLaren 650S and the Ferrari 488 GTB. 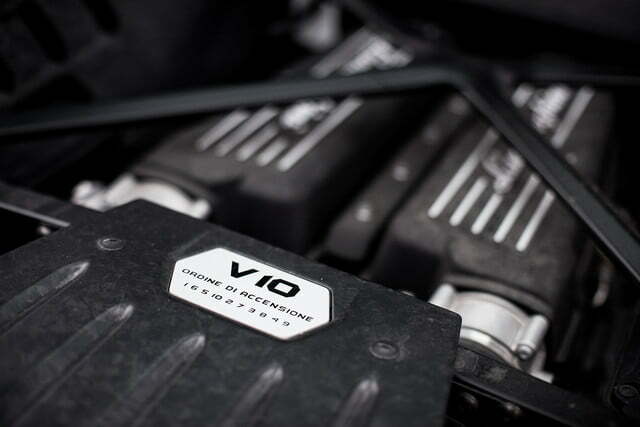 Outside of style preference, having a naturally-breathing V10 versus turbocharged V8s may be the deciding factor for the lucky few in the market for a car this nice.